RC Archbishop The Most Rev Jason Gordon, lamented that the violence in our country is very difficult to deal with as crime continues to escalate. 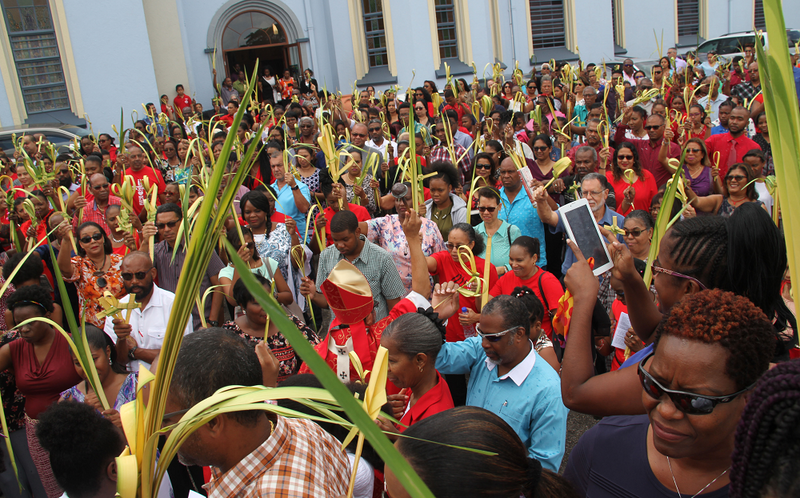 He was speaking with reporters after the Palm Sunday service at the Our Lady of Perpetual Help RC Church, Harris Promenade, San Fernando yesterday morning. He said people are angry and it is manifested in the way they drive, behave at their homes and in the workplace. Gordon said during this Holy Week, citizens must remember the suffering and the passion of Christ. Scores of people attended the service and were given palms which were blessed. Reply to "Archbishop Gordon: Violence in TT difficult to deal with"